Rising prices of the Tourism Industry doesn’t mean that you should forget about your holiday in Sri Lanka. It’s all about finding ways to travel smarter to keep your dream vacation comfortable and affordable. 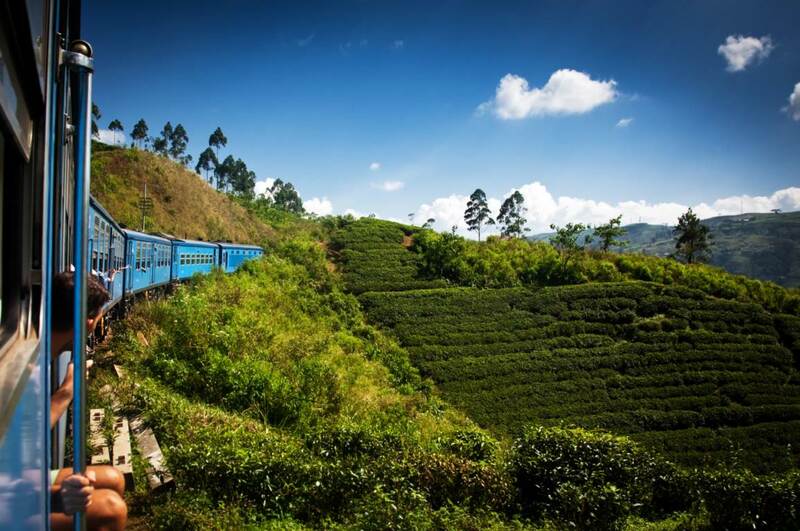 When the costs of transportation, tours, food and souvenirs add up you might end up spending more money than you expected in your holidays in Sri Lanka. Here I’ve put together 10 money-saving travel tips, to make sure all the unnecessary extras don't leave out of your pocket during your visit to Sri Lanka. When you know the information, you know the best and most affordable way to get to your hotel from an airport you’ve never been before. Having a good knowledge of where you are going, how to get there, what are the activities there..etc can help you with your pocket tremendously. So, research well and be prepared. Off-season trips are fantastic, especially if you concern about being wallet-friendly. Look for the deals, airlines, hotels and tour companies putting in the market to stimulate the tourism in Sri Lanka, after and before the high season and you are sure to find better bargains. Sri Lanka guarantees you an exciting trip even outside the peak months as the whole island has a beautiful weather throughout the year. Plus your destinations will be a lot less crowded. It’s not uncommon, if you find a range of prices for the same service such as accommodation, tours and activities in Sri Lanka. So, if you want to make sure that you get the best value for your money, always check with at least 3 places before you confirm a booking. People who have already travelled Sri Lanka know the best from their experience. Reach out to the people you know who have visited Sri Lanka before and get their advice when planning your trip to Sri Lanka. Also, make sure to chat with the fellow travellers on the road and learn about the current deals and tips that can help save money during your trip in Sri Lanka. When travelling in another country a smartphone is not just an option-It’s a primary need. But roaming charges and accessing the internet abroad can be ridiculously expensive. Buy a local SIM from Sri Lanka once you arrived the country. As you’ll find the call and internet charges are less compared to most of the countries, and it’s easy to top up from anywhere around the island, a local SIM is a wise investment you should make. The best way to save money when you are travelling is to find more free stuff to do. Go on swimming on the beach, watch a magical sunset, go on a peaceful walk to a nearby public park, and visit a local market… Free-things-to-do list in Sri Lanka can go on and on. Always look for discounts and offers from tour companies when you are planning your trip to Sri Lanka. Use the right keywords and hashtags and search in social media, online travel groups and forums for services with discounted prices. And you’ll end up at least with one good deal no matter if it’s off season or high season. Follow us on Facebook to receive our latest deals. If you don’t have change cash with you all the time, you can’t help but lose money to local vendors and drivers as you may not receive the right balance. Always keep change cash such as coins, 10, 20 and 50 rupees notes and pay them to the nearest charge as possible. Eating like a local in Sri Lanka can add more joy to travelling offering you new and unique taste experiences while saving you a lot of money. Ask a local and find the best place to try local and street food in the area. You’ll be surprised by the prices you have to pay for a fulfilling meal. Tipping is a crucial part of travelling, many tourists have a hard time figuring out, as under tipping can make them look like a bad person and over tipping can lose them money unnecessarily. Make sure to learn about the tipping etiquette in Sri Lanka before your trip, so you won’t lose money over tipping people. Read online reviews on websites like TripAdvisor to find the best deals and use face timing or WhatsApp to call your family and friend. Utilize the new technology and gadgets and you’ll find many different ways to save more money. Keep this Sri Lanka money saving tips in your mind and enjoy a comfortable and wallet-friendly holiday in Sri Lanka.